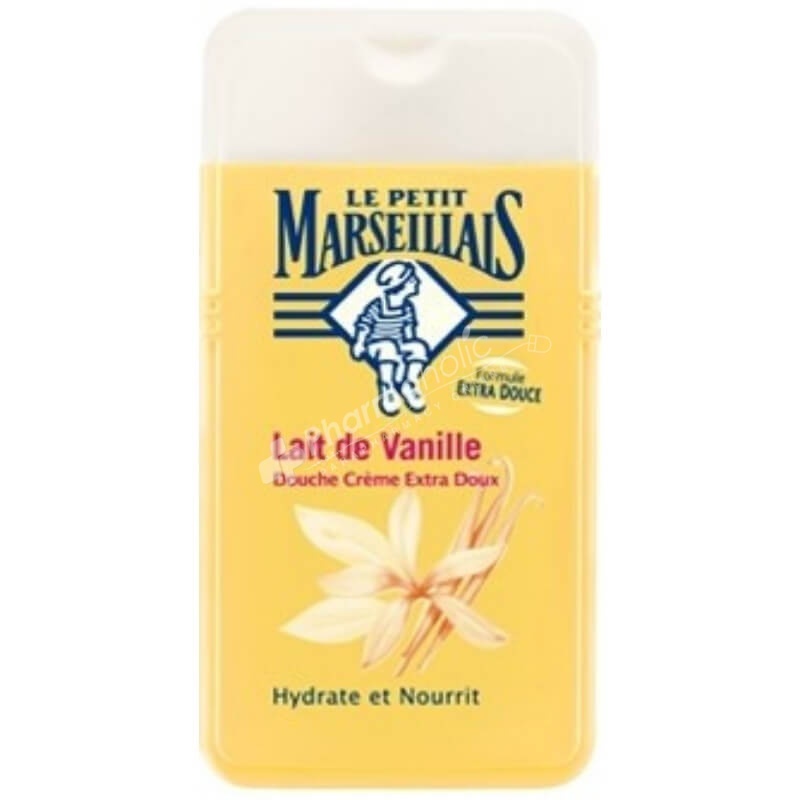 Le Petit Marseillais Shower Cream Vanilla Milk gently washes and moisturizes the skin. Creamy and easy to rinse, its mousse releases an intense and greedy fragrance. The shower cream vanilla milk gently washes and moisturizes the skin. Creamy and easy to rinse, its mousse releases an intense and greedy fragrance. Your skin is soft, hydrated and nourished. Pour into hand, gently lather and rinse.